More about iittala Toikka Birds Ornament Set What to get the Toikka bird collector who has it all or when you're on a budget? This iittala Toikka Birds Ornament Set is a wonderful way to commemorate Toikka's designs around the holidays. 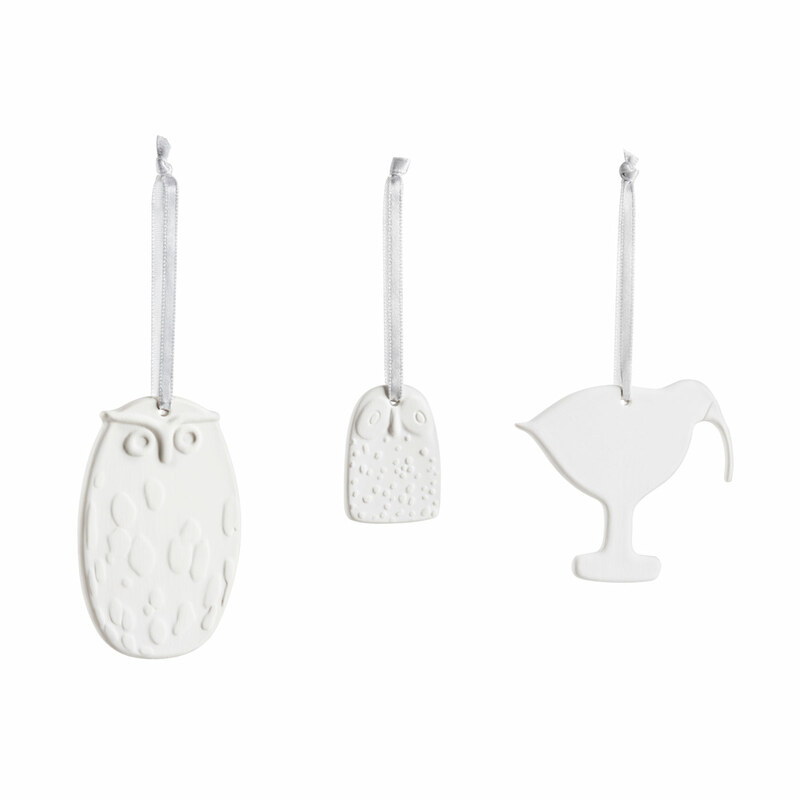 The beautifully boxed set includes 3 ceramic silhouettes of Ibis, Uhuu and Barn owl, each suspended from a silver ribbon.